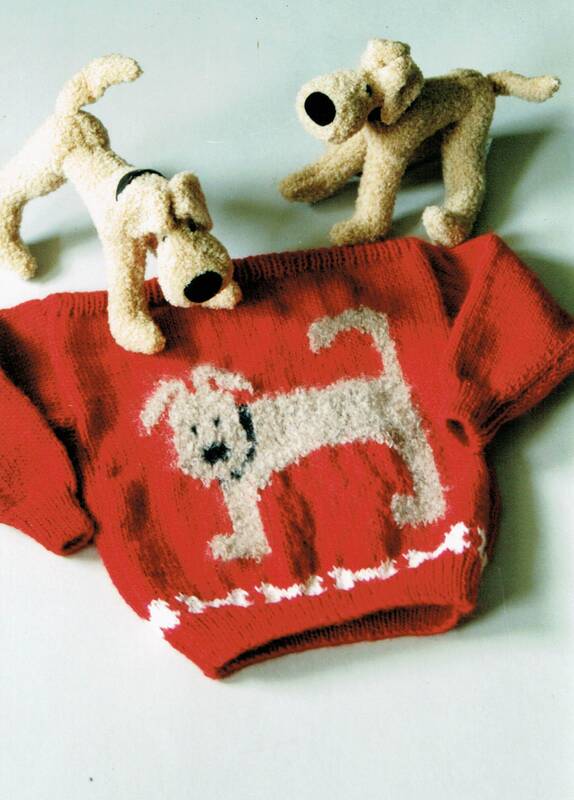 FUNNY BONES Country's Child knitting pattern #123. Sizes 2-8. Finished measurements 26"-28"-30"-32". Easy knit boat neck design using worsted weight yarn. 4 1/2 sts and 6 rows per inch. Suggested needle size 8 [5mm].